Another Pokemon that tops my favourites list; Jigglypuff. I have decided to share multiple tutorials for those who want to learn how to draw this certain Pokemon from other sources. I find it pretty simple, and found the tutorial(above) to be the most simplistic one. It was created by an artist on deviantART. 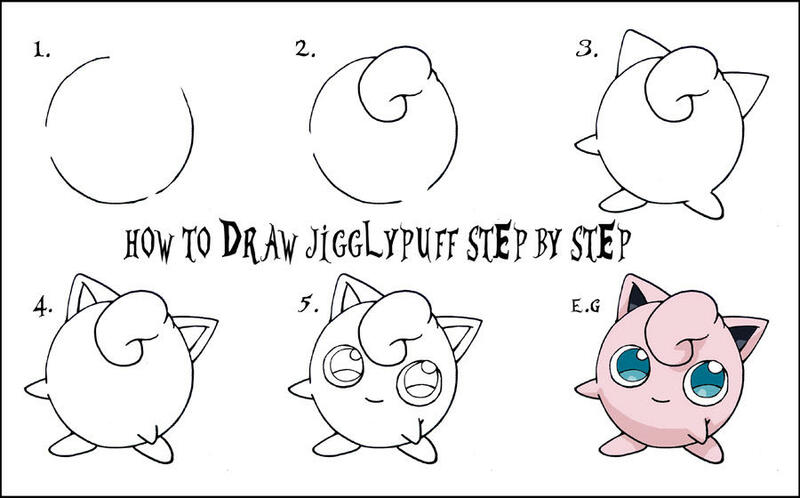 You can view the original tutorial(giving credit) on the site here: How to Draw Jigglypuff. Below is a DragoArt version of Jigglypuff. I’m sure you will all enjoy that one, as well. September 12, 2013 in Fairy Pokemon.